Eight months before Russell R. Wasendorf Sr. tried to kill himself by running a hose from his exhaust pipe into the passenger compartment of his car, he took delivery of a cache of silver coins from the New Zealand mint. They were licensed by Nickelodeon and shaped like the cartoon character SpongeBob SquarePants. 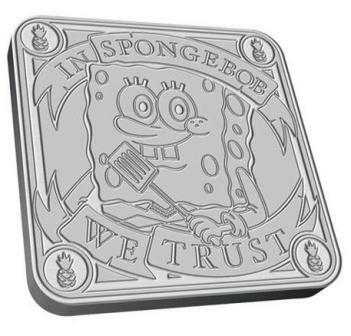 They were legal currency on the South Pacific Island of Niue, had “In Sponge Bob We Trust” emblazoned across the top and had a face value of $2. As novelty items, however, they were priced at 30 times that amount. This ratio was not much higher than the one Wasendorf achieved with Photoshop when he faked bank statements showing more than $200 million in customer segregated funds even though he’d skimmed more than 95% of those off to subsidize losing ventures around the world and to build the glittering headquarters of PFGBest, also known as Peregrine Financial Group (PFG), in Cedar Falls, Iowa. It was in the parking lot of that impressive, empty compound that he attempted to take his own life. 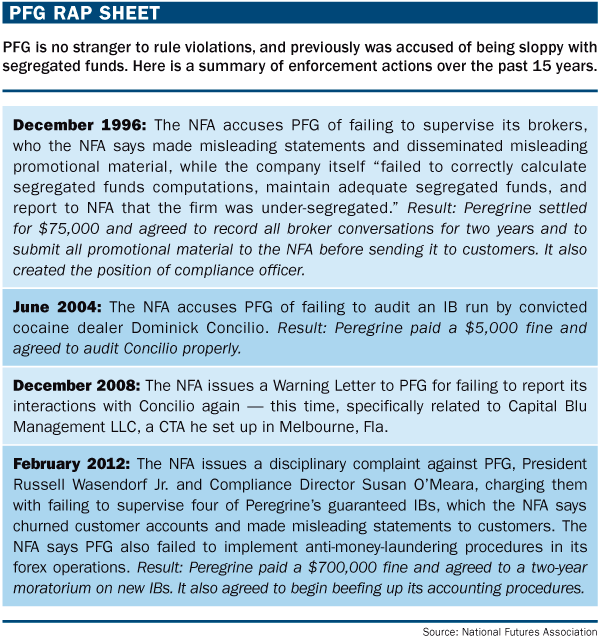 The ratio of cash to stated balance at PFGBest was almost as ridiculous as the image of Wasendorf sitting alone in his darkened office, a shaft of light across his sweaty brow, as he doctored those documents week after week, month after month, year after year — first in his cramped quarters in the Chicago Mercantile Exchange building, then in his roomier digs on LaSalle Street across from the Chicago Board of Trade (CBOT) and finally in his massive $18 million compound in Cedar Falls (see “PFG rap sheet"). “The offices never made sense,” says Paul Ehrhardt, who for 20 years ran WWW Investments, which was one of PFG’s first introducing brokers (IB).